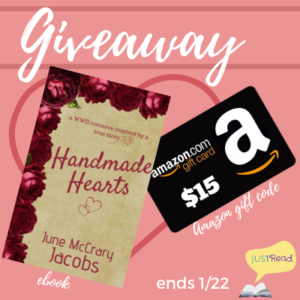 Welcome to the Blog Blitz & Giveaway for Handmade Hearts by June McCrary Jacobs, hosted by JustRead Publicity Tours! 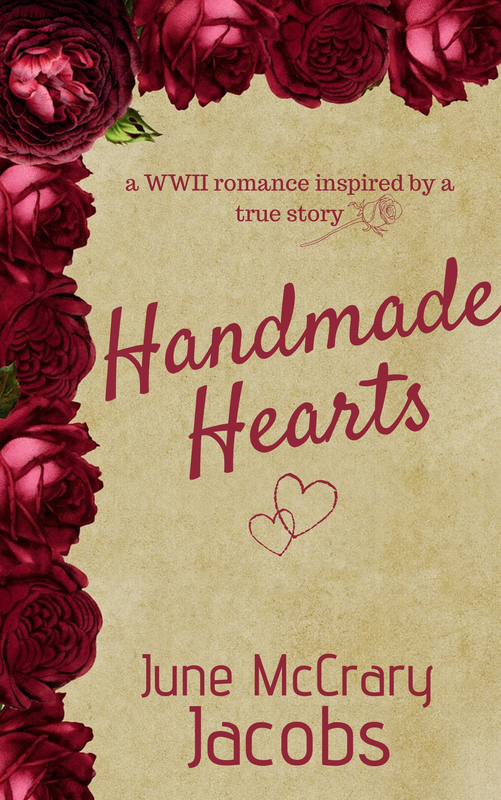 'Handmade Hearts' is an historical romance short story set in New Orleans during World War II and was inspired by a true story. Toward the end of his life, the author asked her Uncle 'Allen' how he met his wife. He shared about how he met 'Irene' at a church social in their neighborhood in New Orleans in the early 1940s. He had been seriously wounded in Guadalcanal in the South Pacific as a young Marine and was using crutches to get around as best he could. He had many inner wounds which needed time to heal, too. He had no way of knowing when they first met that Irene had suffered her own wartime tragedy. She bravely sought to keep her grief locked away deep inside because thinking about her loss caused her even more sorrow. She needed to be strong because she was the breadwinner for her small family. Times were tough, but these two unique individuals made it through each day with inner fortitude, determination, and the sincere hope of something greater just over the horizon. This inspirational short story follows the growth of Allen and Irene's relationship beginning with their chance meeting and leading forward to a lifetime spent together. 'Handmade Hearts' was created to honor this unique couple's love for and devotion to each other in a relationship which spanned seven decades. As she walked the short distance to her home, Irene realized this soldier had a broken heart in need of healing. Although Allen did not know it, he and Irene were kindred spirits in that respect. Warm memories of the evening spent with Allen Bradford filled her mind and caused her to smile to herself all the way home. The week marched on as usual for Irene. She helped her mother and sister with housekeeping chores around their small bungalow. She worked eight hours each weekday, including four hours on Saturday at the local savings and loan association. As secretary to the institution's president, Irene performed myriad professional responsibilities, including scheduling her bachelor boss's social calendar and coordinating other personal details for him such as his dry cleaning and grocery deliveries. Irene felt fortunate to have secured a stable job so that she could assist her mother with the monthly house note and light bill. Along with her younger sister Frances, Irene had lived at home and contributed to household expenses since their father passed away almost two years earlier. The war years had not been easy on any American family, but losing their father to pneumonia at age fifty was a tragedy none of the Carstons anticipated. For a while, the three women drifted aimlessly through life until Irene was hired for the bank job. The job was a blessing for them all. Her salary and working hours were regular and provided the family with some financial stability during uncertain times. 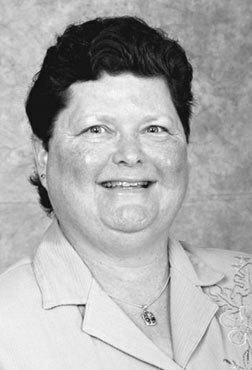 June McCrary Jacobs was the winner of Cedar Fort Publishing's 2013 Holiday Tale Contest for her debut novella, 'A Holiday Miracle in Apple Blossom'. 'Robin's Reward', her first full-length novel, was set in her favorite location in California—the Mendocino coastal region. This book is the first installment of the 'Bonita Creek Trilogy'. June's debut middle-grade novel, 'RES-Q Tyler Stop', an historical novel set in Sonoma County, California, in 1968, will be released in the spring of 2019. The second installment of the 'Bonita Creek Trilogy', 'Penny's Promise', will be released in late 2019 or early 2020. June's original sewing, quilting, and stitchery designs have been published in over one hundred books, magazines, and on sewing industry blogs in the past decade. When she's not writing, reading, blogging, or sewing, June enjoys cooking, walking, visiting art and history museums, and touring historic homes and gardens. Enter via the Rafflecopter giveaway below. Giveaway will begin at midnight January 15, 2019 and last through 11:59 pm January 22, 2019. Open internationally except where prohibited by law. Winners will be notified within 2 weeks of close of the giveaway and given 48 hours to respond or a new winner will be chosen. Giveaway is subject to the policies found here.